Marine Weather forecasts need to be interpreted to make informed, localized decisions on the day. 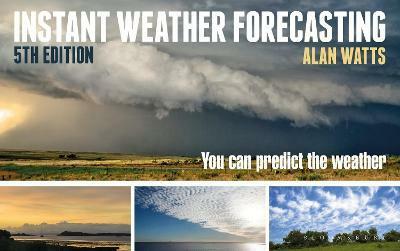 Most of us nowadays, depend for our forecasts on National Meteorological services. However, these services can rarely predict local conditions exactly. And much of the weather that affects leisure sailors tends to be rather small scale. We should also re-learn how to read the physical weather signs which our modem life has left us out of touch with. Anyone putting out to sea, especially in small boats needs to understand how best to use and understand marine weather forecasts. However, none of them are infallible. And large bodies of water and indented coastal areas can be susceptible to highly variable local weather conditions. In order to interpret forecasts and adapt them to local conditions you will need to recognize the limitations of the various types of forecast and have a basic grasp of meteorological knowledge. The first job is to know what marine weather forecasts are available and appropriate for your area. The mainstream media forecasts are very general and cover large areas and are more concerned with the conditions on land, however they can be used to get a feel for general weather patterns. Local marine forecasts are updated several times a day, but even Inshore Waters Forecasts are predicted in general terms rather than in detail. There are different ways in which forecasters interpret the data. Short term forecast, such as those for the next 24 hours, are normally the result of a human forecaster using his or her experience to interpret the output from computers. Longer term forecasts tend to come straight from computer modeling. And how the initial data is processed and modeled can differ between the various centers. So while some boaters have their favorite source of forecast information it does pay to look at several forecasts to arrive at a consensus view. Then, adding your own personal experience and knowledge of local conditions you will be able to make more useful, if not necessarily accurate, short term decisions. Weather forecasts can be received at sea using RTTY, Navtex and Radiofax. Once you know the basic terms used you will be able to interpret the broadcast information in a more informed way. Since the establishment in 1853 of the International Meteorological Organization, now known as World Meteorological Organization the units used for wind speed, pressure and wind direction have been standardized. Synoptic pressure charts are also a standardized method of showing large scale atmospheric pressure variations. Being able to use and interpret synoptic charts is another invaluable way to get a feel for the way the weather is developing. The Barometer is one of those instruments, which like the magnetic compass require little or no maintenance, no external power and yet can be of immense value to those on board. Barometric pressure and its tendency to change is the basic information that forecasts are based upon. Barometric data collated from a network of weather stations are used by forecasters to create synoptic weather maps. By drawing Isobar lines between points of equal pressure on a map or chart a contour map showing variations in pressure is produced. When this is combined with wind and other observations and the changes over time are observed, reasonably accurate forecasts can be made. The aneroid type of barometer which is most commonly found on small boats provides a valuable indication pressure tendency, forecasting short term changes in the weather. Generally high pressure is an indicator of fair weather while low pressure means that storms are more likely. However it is the movement, the rising and falling and the rate of change which is more important to the seafarer and is why barometer reading are normally recorded in the ship’s log. A large change in pressure will not only herald a large change in weather it will also mean an increase in the wind strength. A drop in pressure is a sign of a low pressure system approaching bringing with it a good chance of rain. On the other hand a rise in pressure will generally accompany clearing skies and an improvement. If we were to combine all the information from the latest computer forecasting output with our own observations of today’s marine weather we should be able to accurately predict the local conditions for the following few hours. Many of these smaller localized features are too small to be resolved by the computer models. So for the small boater there is considerable benefit in being aware of how just observing sky conditions can be used to forecast weather. Unfortunately our modern lifestyles have reduced our awareness of and feel for the natural signs and indicators of change in the atmosphere. For centuries folk have been using the simplest of methods for forecasting tomorrow conditions upon their observations of today’s conditions. Many of the sayings and weather lore that they used while being based on simple observation do have a basis in scientific fact. And quite often the folk who relied on them were seafarers whose very lives depended on them. So, rather than dismissed these old sayings as meaningless perhaps it is time to reassess them and use them as a basis for our own observations. I'm sure everyone is familiar with the saying "red sky at night, sailor's delight, red sky in the morning a sailors warning” but there are a host of others which are worth remembering. Do you have a favorite Marine Weather Proverb, perhaps one passed down from a grandparent? For the coastal sailor the effect on the prevailing marine weather caused by the local topography can be dramatic. Wind speed, for example, can dramatically increase and be deflected from the prevailing direction as it is funneled through narrow channels. Even along open stretches of coastline the wind direction can be deflected. Cliffs can produce localized turbulence, and the gust form an unexpected direction can be caused by valleys or clefts in the cliff face. Any coast fringed by high ground will be subject to localized phenomena such as kabatic winds. Wind over tide can cause short steep waves. And sea breezes will modify the prevailing conditions depending on the time of day. A good sense of observation will help you keep track of weather shifts over the short term. But predicting the affects of local conditions on Marine Weather requires an understanding of how and why these variations are produced.